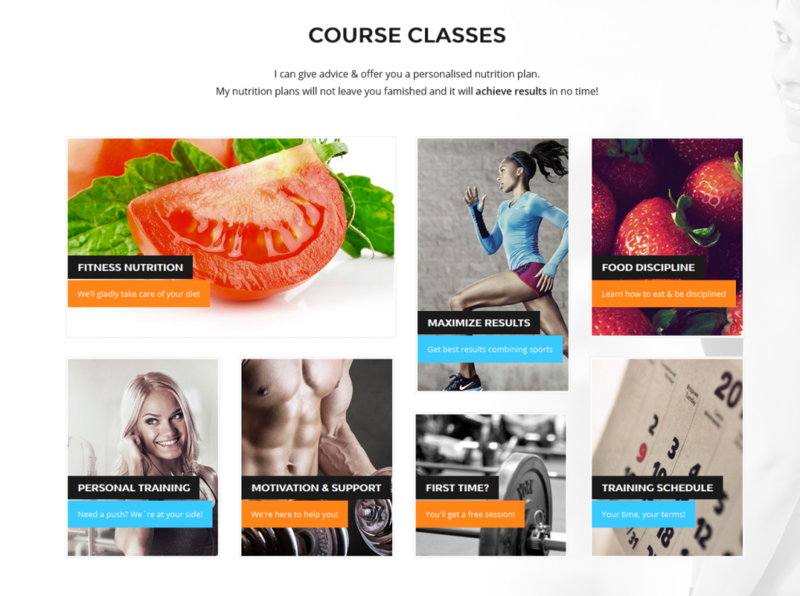 I can give advice & offer you a personalised nutrition plan. My nutrition plans will not leave you famished and it will achieve results in no time! 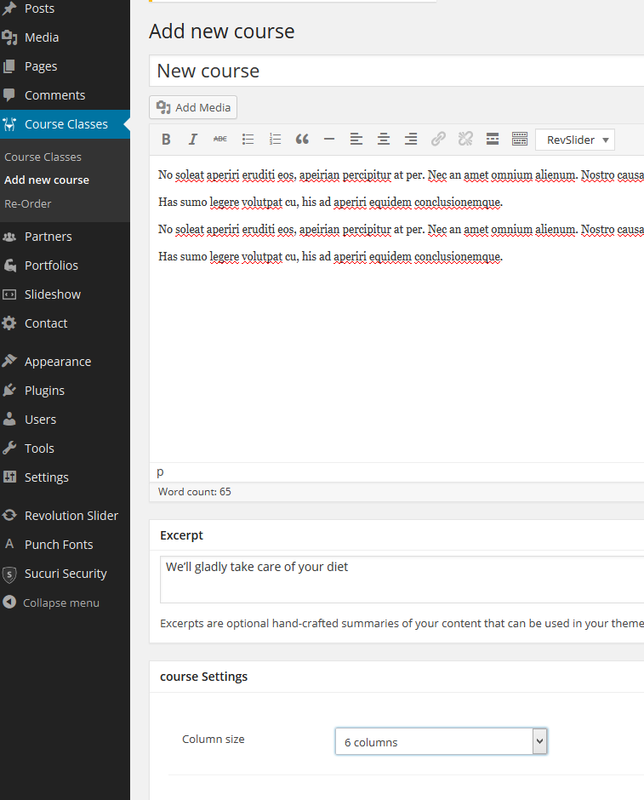 Note: In order to display course classes, you have to add them in the Course Classes custom post type. After that add some content to it, add some text to the excerpt and select how big the column size should be.